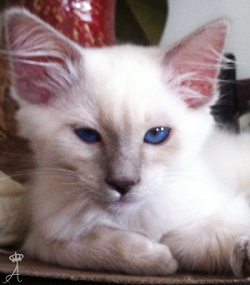 Sophie is a one-of-a-kind kitty. 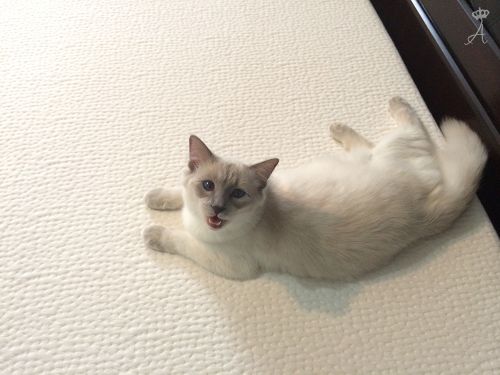 She's not only a papa's girl, but very vocal, obedient clown as well. 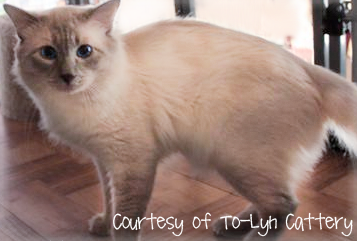 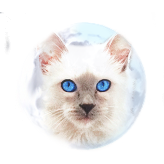 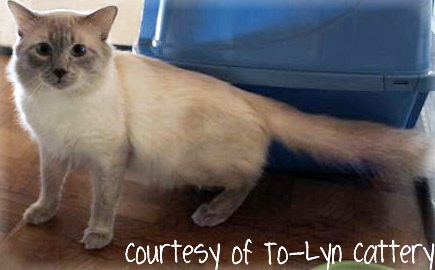 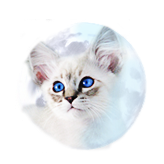 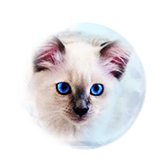 Never expected this from a cat, but yet again Balinese cats are known for this type of personality. 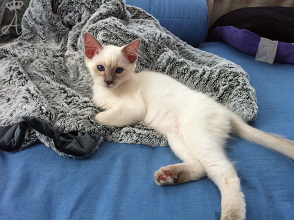 She is such a busy body, and loves to chase around, play with her fellow queens, and boy can she eat. 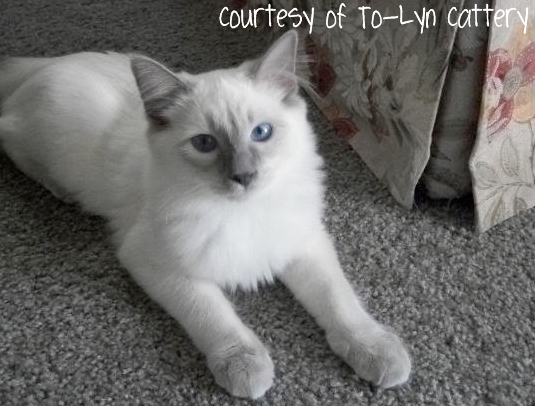 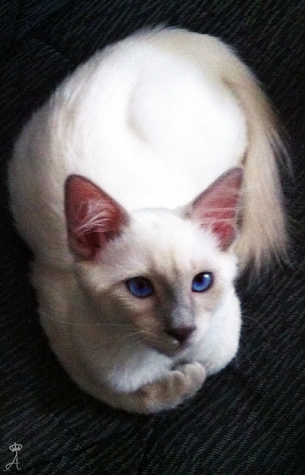 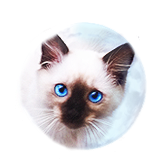 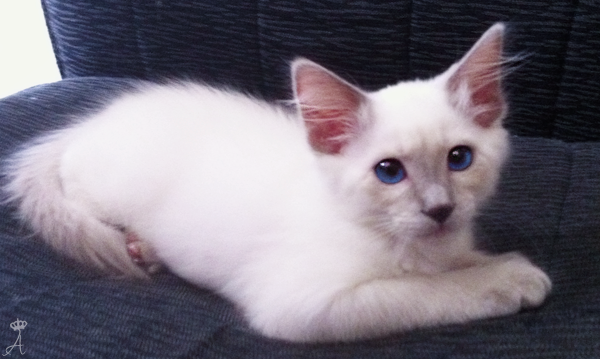 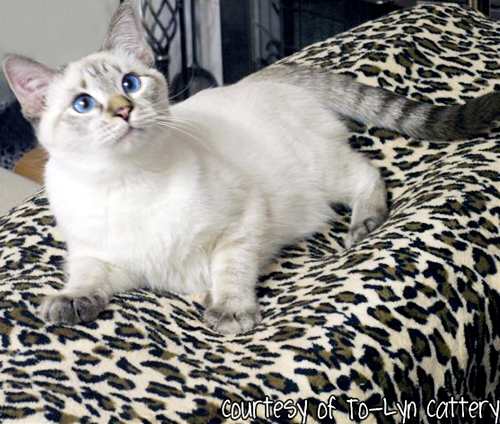 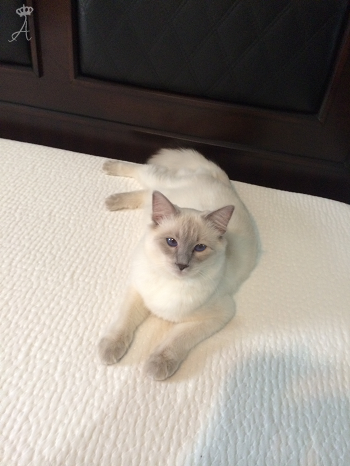 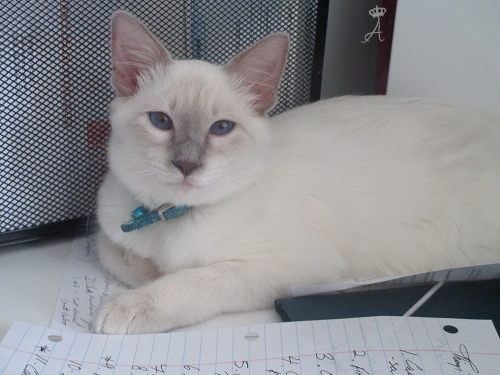 Sophie has one of the most beautiful blue eyes seen in a lilac point. 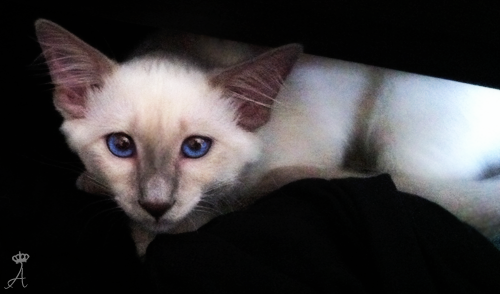 Her eyes just continue gazing in your mind after seeing them. 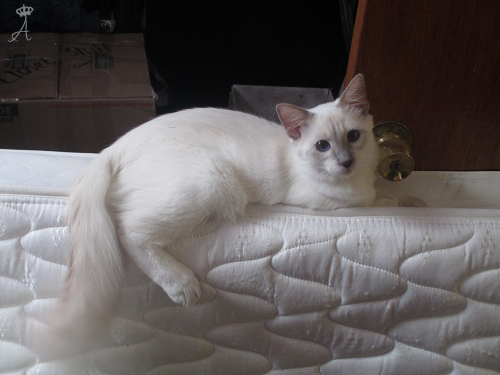 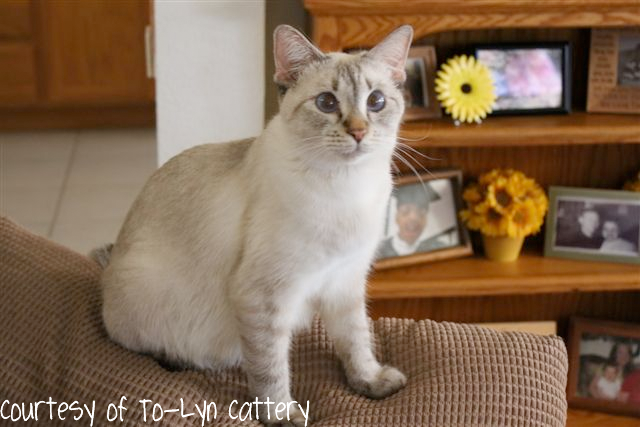 She's very light in color, lighter than Bella and continues to keep such a light lilac contrast that we're considering her a frost point (light lilac point) at this time. 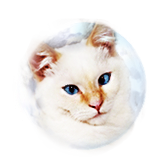 Stay tuned for Sophie as I have plans to breed her with our handsome Silver and should expect very, very beautiful kittens late spring, early summer 2014.